It is difficult to find a good machine learning algorithm for your problem. But once you do, how do you get the best performance out of it. 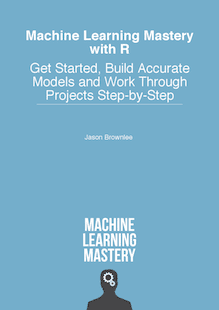 In this post you will discover three ways that you can tune the parameters of a machine learning algorithm in R.
Walk through a real example step-by-step with working code in R. Use the code as a template to tune machine learning algorithms on your current or next machine learning project. Tune Random Forest in R.
Photo by Susanne Nilsson, some rights reserved. It is difficult to find a good or even a well-performing machine learning algorithm for your dataset. Through a process of trial and error you can settle on a short list of algorithms that show promise, but how do you know which is the best. You could use the default parameters for each algorithm. These are the parameters set by rules of thumb or suggestions in books and research papers. But how do you know the algorithms that you are settling on are showing their best performance? The answer is to search for good or even best combinations of algorithm parameters for your problem. You need a process to tune each machine learning algorithm to know that you are getting the most out of it. Once tuned, you can make an objective comparison between the algorithms on your shortlist. What search method to use to locate good algorithm parameters? What test options to use to limit overfitting the training data? You can tune your machine learning algorithm parameters in R.
Generally, the approaches in this section assume that you already have a short list of well-performing machine learning algorithms for your problem from which you are looking to get better performance. An excellent way to create your shortlist of well-performing algorithms is to use the caret package. Using the caret R package. Using tools that come with the algorithm. Designing your own parameter search. Before we start tuning, let’s setup our environment and test data. Let’s take a quick look at the data and the algorithm we will use in this case study. In this case study, we will use the sonar test problem. This is a dataset from the UCI Machine Learning Repository that describes radar returns as either bouncing off metal or rocks. It is a binary classification problem with 60 numerical input features that describe the properties of the radar return. You can learn more about this problem here: Sonar Dataset. You can see world class published results for this dataset here: Accuracy on the Sonar Dataset. This is not a particularly difficult dataset, but is non-trivial and interesting for this example. Let’s load the required libraries and load the dataset from the mlbench package. We will use the popular Random Forest algorithm as the subject of our algorithm tuning. Random Forest is not necessarily the best algorithm for this dataset, but it is a very popular algorithm and no doubt you will find tuning it a useful exercise in you own machine learning work. When tuning an algorithm, it is important to have a good understanding of your algorithm so that you know what affect the parameters have on the model you are creating. In this case study, we will stick to tuning two parameters, namely the mtry and the ntree parameters that have the following affect on our random forest model. There are many other parameters, but these two parameters are perhaps the most likely to have the biggest effect on your final accuracy. ntree: Number of trees to grow. Let’s create a baseline for comparison by using the recommend defaults for each parameter and mtry=floor(sqrt(ncol(x))) or mtry=7 and ntree=500. We can see our estimated accuracy is 81.3%. The caret package in R provides an excellent facility to tune machine learning algorithm parameters. Not all machine learning algorithms are available in caret for tuning. The choice of parameters is left to the developers of the package, namely Max Khun. Only those algorithm parameters that have a large effect (e.g. really require tuning in Khun’s opinion) are available for tuning in caret. As such, only mtry parameter is available in caret for tuning. The reason is its effect on the final accuracy and that it must be found empirically for a dataset. The ntree parameter is different in that it can be as large as you like, and continues to increases the accuracy up to some point. It is less difficult or critical to tune and could be limited more by compute time available more than anything. One search strategy that we can use is to try random values within a range. This can be good if we are unsure of what the value might be and we want to overcome any biases we may have for setting the parameter (like the suggested equation above). Note, that we are using a test harness similar to that which we would use to spot check algorithms. Both 10-fold cross-validation and 3 repeats slows down the search process, but is intended to limit and reduce overfitting on the training set. It won’t remove overfitting entirely. Holding back a validation set for final checking is a great idea if you can spare the data. We can see that the most accurate value for mtry was 11 with an accuracy of 82.1%. Another search is to define a grid of algorithm parameters to try. Each axis of the grid is an algorithm parameter, and points in the grid are specific combinations of parameters. Because we are only tuning one parameter, the grid search is a linear search through a vector of candidate values. We can see that the most accurate value for mtry was 2 with an accuracy of 83.78%. Some algorithms provide tools for tuning the parameters of the algorithm. For example, the random forest algorithm implementation in the randomForest package provides the tuneRF() function that searches for optimal mtry values given your data. You can see that the most accurate value for mtry was 10 with an OOBError of 0.1442308. This does not really match up with what we saw in the caret repeated cross validation experiment above, where mtry=10 gave an accuracy of 82.04%. Nevertheless, it is an alternate way to tune the algorithm. Often you want to search for both the parameters that must be tuned (handled by caret) and the those that need to be scaled or adapted more generally for your dataset. You have to craft your own parameter search. Extend Caret: Create an extension to caret that adds in additional parameters to caret for the algorithm you want to tune. We want to keep using caret because it provides a direct point of comparison to our previous models (apples to apples, even the same data splits) and because of the repeated cross validation test harness that we like as it reduces the severity of overfitting. One approach is to create many caret models for our algorithm and pass in a different parameters directly to the algorithm manually. Let’s look at an example doing this to evaluate different values for ntree while holding mtry constant. You can see that the most accuracy value for ntree was perhaps 2000 with a mean accuracy of 82.02% (a lift over our very first experiment using the default mtry value). The results perhaps suggest an optimal value for ntree between 2000 and 2500. Also note, we held mtry constant at the default value. We could repeat the experiment with a possible better mtry=2 from the experiment above, or try combinations of of ntree and mtry in case they have interaction effects. Another approach is to create a “new” algorithm for caret to support. This is the same random forest algorithm you are using, only modified so that it supports multiple tuning of multiple parameters. A risk with this approach is that the caret native support for the algorithm has additional or fancy code wrapping it that subtly but importantly changes it’s behavior. You many need to repeat prior experiments with your custom algorithm support. We can define our own algorithm to use in caret by defining a list that contains a number of custom named elements that the caret package looks for, such as how to fit and how to predict. See below for a definition of a custom random forest algorithm for use with caret that takes both an mtry and ntree parameters. Now, let’s make use of this custom list in our call to the caret train function, and try tuning different values for ntree and mtry. This may take a minute or two to run. You can see that the most accurate values for ntree and mtry were 2000 and 2 with an accuracy of 84.43%. We do perhaps see some interaction effects between the number of trees and the value of ntree. Nevertheless, if we had chosen the best value for mtry found using grid search of 2 (above) and the best value of ntree found using grid search of 2000 (above), in this case we would have achieved the same level of tuning found in this combined search. This is a nice confirmation. In this post you discovered the importance of tuning well-performing machine learning algorithms in order to get the best performance from them. You worked through an example of tuning the Random Forest algorithm in R and discovered three ways that you can tune a well-performing algorithm. You now have a worked example and template that you can use to tune machine learning algorithms in R on your current or next project. Work through the example in this post. Open your R interactive environment. Type or copy-paste the sample code above. Take your time and understand what is going on, use R help to read-up on functions. Do you have any questions? Ask in the comments and I will do my best to answer them. Though i try Tuning the Random forest model with number of trees and mtry Parameters, the result is the same. The table Looks like this and I have to predict y11. 0 0 0 2 0 2 2 4 0.000000000 ? 1 1 0 0 0 3 3 18 0.000025700 ? 0 1 0 0 1 2 2 2 0.000000000 ? All x11 to x19 are the important Features to detect y11 value. I have given the model like this but still not able to achieve high Efficiency. Can you please help me. Generally it is a good idea to tune mtry and keep increasing the number of trees until you no longer see an improvement in performance. No need to perform feature selection with random forest, it will do so automatically, ignoring features that make bad split points. I don’t know about that package, sorry. Perhaps try posting to stackoverflow or the r user group? Can you advise what went wrong? The codes took 4 days to run and I’m sort of disappointed I wasn’t getting an output I was expecting. Thanks! I love your website and work. Is it a general practice to normalize and reduce the number of features using PCA before running the random forest algorithm? I understand that RF picks the best features while splitting the nodes, but my only motivation for PCA is to reduce the computation time. No, I would suggest you let RF figure it out. If you have time, you could later compare a PCA projected version of your dataset to see if it can out-perform the raw data. What will be the metric incase of regression? Thanks Harini, I’m glad you found it useful. My R compiler says that 'Class' wasn't found, what does the Class~. represent and how does one go about resolving the issue? This is the formula notation, where “Class” is the name of a variable in the dataset. It may not exist in your dataset. wrong model type for regression" . What could be wrong? But this takes too much time! Strange, it looks like it does not want to use random forest for regression. Try using caret train() with ‘rf’ on your dataset without grid search and ensure it works. Thanks Jason, I tried as per your suggestion and I get NULL output for fit$predicted ! Do the tuning parameters I have obtained from above mentioned code are relevant, given the situation when we don’t go for grid search? You can call the predict() function to make predictions. mtry is the number of features to consider at each split point. The universe of possible values is 1 to the number of features in your dataset. In order to improve a model’s accuracy I go back and search for inaccurately misplaced training points and correct or remove them. I have thousands of training points so it is not easy to locate them in the training data-set. I was wondering, since the confusion matrix in Random Forest Package in R shows how many training points are inaccurately classified in each class is there a way to easily pinpoint those inaccurately classified training points? I have ID’s of my training samples but I don’t know if it is possible to locate them. Interesting tactic of removing misclassified points. This is generally not an approach I use or recommend. Why are you tuning your model this way? Some of my training points are collected using google earth so as you can guess they are not always the best validation data. that is the reason I tune my training points. Can you give me any suggestion regarding the problem? Normally it is possible to locate those points manually but it is time consuming. I am sure there should be a way to reveal the misclassified points but I don’t know how. To identify misclassified point would require another source of information. This sounds like a data cleaning exercise, prior to modeling, unrelated to the choice or use of machine learning algorithms. Right, that is what I am talking about “data cleaning” but not prior to use of random forest model. I use uncleaned data as a pre-analysis and get confusion matrix. The confusion matrix reveals how many points are misclassified but I need to know exactly which points are misclassified so I can clean it. I need a code in R that reveals the misclassified points. I have the order numbers of each point (total 3000) if it helps. I would recommend comparing predictions to actual points one at a time to discover which points were misclassified. I do not have an example at hand, sorry. But I have a one question. I try to help… but sometimes it’s hard. Question was deleted…. may be there was error..
in this grid search code. you use set.seed(seed). Also, you use same function in random search code. I know what is set.seed. But I don’t know why you use this function in grid search code. I understand that set.seed function is used in random search because it has to select each parameter’s number. If i know wrong information, please explain what is the role of set.seed function in this code. Have a nice day! I call seed to initialize the random number generator to get the same results each time the code is run. This is useful for tutorials. Oh. Thank you for your reply. At first, I understood that set.seed function affect to the selection of random number of ntree and mtry in random search. But you mean that seed function affect to the trainControl’s result and train function result. right? Correct. The whole algorithm evaluation procedure including fitting the model. Hi Jason. you introduced good 2 method(grid, random search). Is there another method to select best paramters?? I want to know that Even if I do not set the range of parameters, I can find the optimal parameters for the model. The random search eventually sets the number to use as the tuneLength argument…. Is there a way to find the parameters i want? You can use an exhaustive search. We often do not have the resources to find the “best” parameters and are happy to use “good” or “best found”. But….What is the exhaustive search?? Is it function?? or just try many times as gird search?? Something is wrong in “summary(custom)”, almost the same as Bing mentioned , as I used custom$results. as Beth suggested before. the result is still wrong. Could you please give further advise about this?Thank you! What problem do you see exactly? I never try Caret before and I am assuming the following line of code performs cross validation. My question is why is cross-validation necessary since in random forest ,in its algorithmic philosophy, is already cross-validated. We need a scheme to evaluate the skill of the model on unseen data. We could use train/test split or k-fold CV. The algorithm is reporting error. The error of the predictive model is not related to the number of features (well, not directly related). Not a question. Just wanted to say thank you for taking the time to share this. It was very helpful to me. The grid search tuning method worked really well. Great job Jason, collecting everything on one page is helpful. Sure, I have read the same thing. I try to keep my test harness consistent for all algorithms when spot checking, hence the use of CV. Thank you for your reply! I see. I also heard using OOB errors may overestimate the accuracy. So in this sense, it maybe also interesting to tune it with CV except using ‘tuneRF’ from ‘randomForest’. I was wondering if you knew of a way to re-write the RF model to allow for tuning of the cutoff probabilities? For instance, if we had a dataset with unbalanced classes, is it possible to write a custom RF model where mtry was fixed at floor(sqrt(predictors)), and cutoff would iterate through a sequence of values such as .1,.2,.3… .9 for each class? So cutoff for the first iteration might be c(.25,.25,.5), second might be c(.3,.4.3) etc? The only “catch” is that the cutoff probabilities must add to to 1. I expect there are papers/code out there for a customized random forest for imbalanced data (e.g. with weighted sampling built in). I tried to grid search in Random Forest. But I got error like this "Error: The tuning parameter grid should have columns mtry". Thanks for the code. I tried the customRF implementation in caret and it runs, but doesn’t return the model resampled performance measures. There were missing values in resampled performance measures. Thanks for your blog. This is very helpful. I am evaluating the performance of several approaches (linear regression, random forest, support vector machine, gradient boosting, neural network and cubist) for a regression related problem. I am using caret package for this, and have been using 10-fold cross validation approach. To compare the performance of the models, I am using two metrics R2 and RMSE. Are there any other metrics that can be used to compare these models? In addition to these two metrics, I am suggested to use some information criterions to evaluate the model performance. The only information criterions I am aware are AIC and BIC, but I am not sure if that can be used with Caret package. Do you have any suggestions? My another question is about stepwise regression versus genetic algorithm to address a problem of multi-collinearity. I have extensively used stepwise regression, but have not used genetic algorithm. Are you familiar with these? If you are, can you help me compare them in terms of their pros and cons? Any suggestions on these would be highly appreciated. Thanks. Yes, there are many metrics you can use. Think hard about the goals of the project and choose metrics that help you to show/not show you are meeting those goals. That split is fine, but may not be needed if you are using k-fold cross-validation to estimate model skill. You can perform a sensitivity analysis to show how the statistical properties of the same change with sample size to help support a chosen sample size. Might not have any real impact though, e.g. just hand waving. Yes, I’d recommend testing a suite of different feature selection methods, build a model from the results of each and double down on what works best. If you have resources, try all subsets of features. Thanks Jason for your response. Can you please suggest any example that illustrates the use of AIC or BIC or other information criterion for evaluating regression models’ built using CARET package.I have been asked to do this, but don’t know how to do it. Same with the genetic algorithms. Any examples would help. Thanks. Thanks for your blog. This is very helpful! That should be fine. Perhaps you ran out of RAM or the code is not using all cores? Thanks for the very helpful blog! I want to ask you where did the accuracy score be obtained in caret package? Confussion matrix or from data out of bag? once I’ve found the best parameters and want to validate the model on a set (previously separated and not used in the tuning process), can I just take the best model found and trained in the tuning process or should I train the model once again with the best parameters? I’ve used tune.wrapper from e1071 for SVM and NNET, and according to the e1071 doc, you can access the best model, which was trained on the whole training data after finding the best parameters, however I see some differences in performance between the model taken from the tuning and a model, which is trained again from the beginning. I would be very grateful for your help on this. (And thank you for this amazingly useful site)! It is your choice of course. I would re-fit the model on all training data with the best hyperparameters and evaluate it on the hold out set. Sir, I used random forest for my classification method. I evaluated the model in the data train and data test. In data train, i got 100% on accuracy. Any reason why can this happen? The problem may be too simple and ML is not required. Thank you for the nice post on tuning parameters for random forest. I am trying test my model, using repeated cross validation, 10 folds, 3 times. So much seed should I set it for?. Is it 31? Please advice on setting the seed number? Use the default m_tree, the sqrt of the number of features. tuning the parameter is only for random forest model? If i want to develop any logistic model, can i tune parameters for logistic model also? Generally, GridSearch and Algorithmic Tuning will provide a different result, isn’t? Then how to differentiate and choose them? Choose a configuration that gives the best performance on average, results in a stable model, and/or results in a simple model. HI Jason, in the caret package with RF you can obtain a variable importance plot. In regular RF this is done by Gini decrease–does the caret RF variable importance plot also present the gini decrease? The documentation for the caret package doesn’t explicitly say this. I’m not sure if the caret package can, but I expect the random forest package can. I don’t have an example at hand. I’m having a lot of trouble changing the customRF function to account for a new dataset. It is a dataset also found on UCI (https://archive.ics.uci.edu/ml/datasets/heart+Disease). It has 13 variables and the variable I want to predict is disease. Any advice for altering your function. Sorry, I don’t have good suggestions, perhaps try posting your specific fault to stackoverflow or the R user list? Why do you choose mtry=c(1:15). Is this because your predictor variables are in columns 1 through to 15 in your dataset? Yes, it is the number of randomly chosen features that may be selected from eat each spit point. HI , when i running the same for RF logistic classification, I am getting below error. Sorry to hear that, I don’t know the cause, perhaps try posting to stackoverflow? next what i should do, after getting the tuning parameter ntree and mtry . should i go back to my RF model and build it again using tuning parameters? Tuning those two parameters alone is probably enough.